Suzanne Doyle-Yerxa retired after thirty-five years of teaching, 31 of them spent at Kennebecasis Valley High. Former students Jeff McAloon, Mark Bishop, Chris Leveille and Brad Stanley are establishing a lasting legacy in her honour. She is well-known for her commitment to the Performing and Creative Arts, key roles in the production of dozens of dramatic and musical productions and creation of several performing arts-related groups. 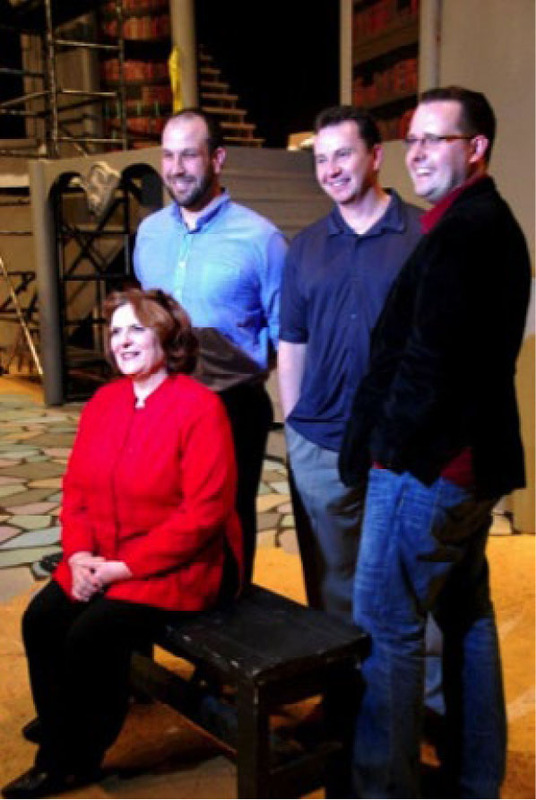 The founders of the Suzanne Doyle-Yerxa Awards took their enriching high school experiences in the arts with them as they continued their studies and began careers, as an educator, Multimedia CEO, designer/ performer and financial advisor. Suzanne Doyle-Yerxa clearly recalls her first day teaching 35 years ago and what a thrill it was. The Boston native states she still feels that sense of excitement and reward from her English and journalism teaching career. KV High musicals and drama, the KV Players, children’s summer theatre and music camps and Kidsing, for younger children, all were profoundly associated with Suzanne Doyle-Yerxa. She received the 2008 Premier’s Award for Excellence in Education for inspiring students in “Developing a Passion for Learning” and conceived of the new “Gallery of Arts” to recognize KV grads with arts-related careers. Mark Bishop will be the first inductee. A love of the creative and performing arts and intent to pursue studies in that field will be the key elements in the selection of two KV High grads as annual winners of the $500 awards. A permanently endowed fund, entrusted to The Community Foundation, was launched for it recently. It will generate annual income for the awards. The groups are pleased it is inspiring other supporters to contribute and encourage donations of any size.